#DDX3 is Munathara’s biggest event of the year. It brings together past participants who took part in the 2016 live televised debates along with the winners of the #DDX3 online competition which asked participants to complete the prompt “Others have the right to..” with their own message using whatever form of artistic expression they prefer. This theme was chosen to foster a vibrant conversation about the roots, meanings and consequences of individual rights. By raising the question of the rights of others Munathara sought to encourage participants and audience members to look at the question of rights outside of themselves and recognize that their own personal rights can only be secured when they and those around them are prepared to recognize and respect the rights of others who may be different. The online competition saw a record number of video submissions from youth all over the Arab world who responded to the prompt with music, poetry, dancing, speeches, and more. #DDX3 gathered many creative youth and prominent artists together. 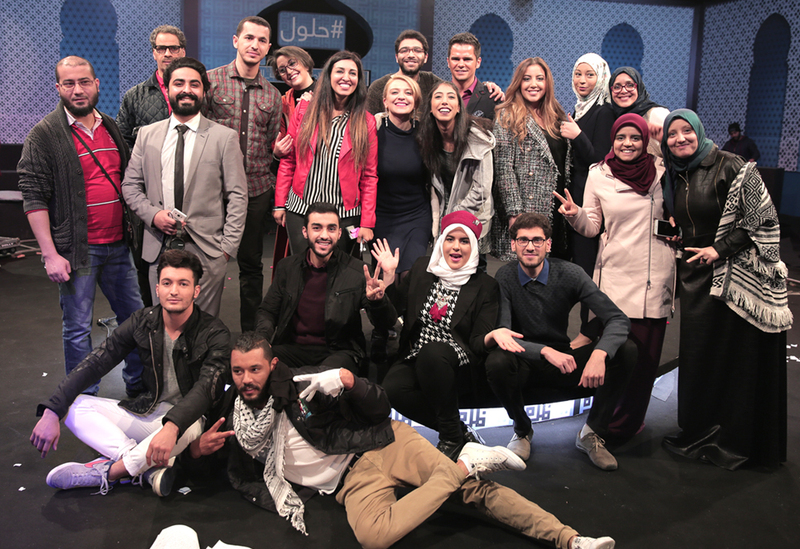 Youth participants from Jordan, Morocco, Tunisia, Egypt, Libya and Yemen took the stage to showcase their talent alongside prominent artists from across the Arab world.